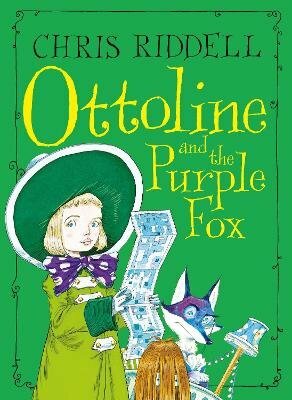 Ottoline is back in Ottoline and the Purple Fox, a beautifully illustrated adventure from former Children's Laureate, Chris Riddell. Ottoline and Mr Munroe love puzzles, clues and mysteries. One day, they meet an enigmatic purple fox, who offers to take them on a night-time urban safari. The fox shows them all the hidden animals of the city and Ottoline makes notes on them in her field notebook. Mr Munroe is making notes too - on the anonymous poems he finds stuck to lampposts on their journey. Who is the secretive poet, and how can he and Ottoline help them mend their broken heart?